Everyday Gyaan You made a difference! You are here: Home / Life and Inspiration / You made a difference! 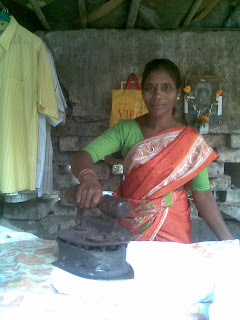 Remember my post entitled ‘Simple People?’ in which I had shared the ‘story’ of Mangaritha Kerketta, the woman who does our ironing? Well, I’m happy to report that in response to that, I received approximately Rs.40000/- (the approximation is due to certain dollar receipts that are still to be converted) towards the cost of her medical expenses. This means that her burden of repaying the loans she took for her treatment will be greatly reduced. This remarkable woman is back to work and continues to astound me with her courage and the graceful way in which she accepted the support extended to her. On my part, I am grateful and edified by the generosity of so many people. It makes me want to reach out the many other Mangarithas out there, whose lives we can make a little easier by giving out of the abundance we have. You gave proved that action speaks louder than words..And I don’t know how many people will be willing to show this genuine and kind gesture. The message from this post is huge even though its not lengthy..Rather than writing fluff to please Google you write from your heart, which is tough..However you have been successful in this..
And I am working at a steady pace with my reading challenge ..Finishing all your posts in 6 months from now..